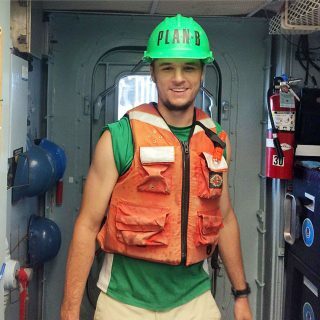 Andy Montgomery is pursuing a PhD in Marine Sciences from the University of Georgia. He is a 5th year graduate student in Mandy Joye’s lab. Andy studies how the dynamic chemistry of the ocean affects microbial activity. More specifically, he studies how carbon and nitrogen availability dictate microbial processes such as methane or ammonia oxidation. Andy received his bachelor’s degree in biotechnology from James Madison University in 2013. His interest in microbiology was sparked there through an undergraduate research program, where he isolated and characterized (phenotypically and genomically). More recently in Mandy Joye’s lab, he works to understand the role of ammonia oxidizing archaea in C and N cycling, and to explore unique and alternative metabolisms in extreme environments. On this cruise he will couple in situ geochemical parameters with microbial rate measurements and enrichment experiments to explore these topics.